Wheelchairs and scooters become a part of a daily routine, a way to express yourself. They are known for being eye-catchers already, might as well make it personal and in this case, convenient. Wheelchairs and scooters are commonly used when shopping or taking long commutes as it can be a safer alternative than relying on canes or crutches. There are also others who rely completely on wheelchairs and scooters, so comfort and convenience always comes first. 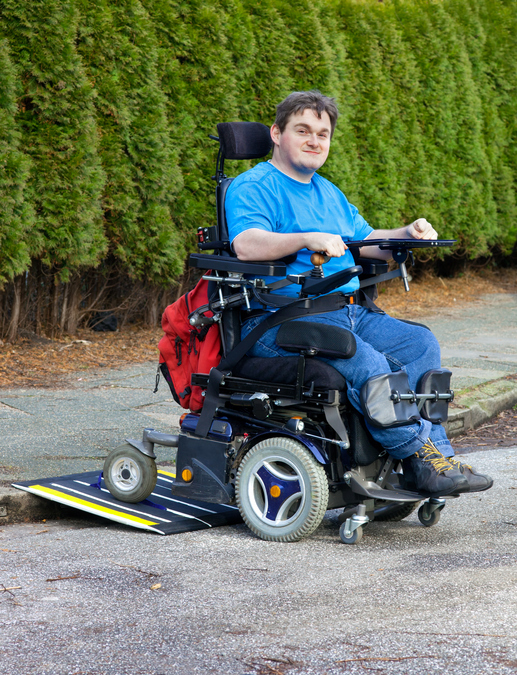 Utilize foam pads to maximize cushioning and comfort, some of the best wheelchair technicians are constantly building “mods” onto existing wheelchairs and scooters. Sometimes that can consist of creating removable armrests, adding padding, or even rebuilding controls entirely. Another way to personalizing a wheelchair or scooter is to deck it out in convenient add-ons and totes. Here are a few must-haves for staying mobile. Oxygen Tank Holder For Wheelchairs or Scooters - This carrier holds a size D oxygen tank for both wheelchairs and scooters, each holder has a unique design for stability and safety. Crutch Holder for Wheelchairs or Scooters - Trying to carry crutches around can be a hassle, but this crutch holder safely straps underarm and forearm crutches to a wheelchair or scooter. 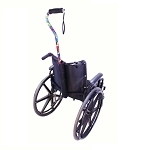 Cane Carrier - For wheelchairs, this device attached to the handles to provide a safe carrier for any cane. The same device can be found for a scooter, although it attaches to the back of the scooter or powerchair. Scooter Bags - As far as convenience goes, bags and totes are where it’s at. The more storage space, the less of a hassle. A large seat back bag provides ample space for plenty of storage, a great tool for shopping. For lightweight storage, an under-seat cargo bag can be perfect for carrying small items. Keeping a comfortable wheelchair is important and it can also improve health. Comfortable seating and armrests are key features in minimizing pressure pains and aches from sitting on the mobile wheelchair or scooter. While convenience is absolutely necessary, so is health and safety, so keep that in mind when scoping out a new cushion or wheelchair. © Copyright 2019 The Wright Stuff, Inc. Articles may only be redistributed in its unedited form. Written permission from The Wright Stuff, Inc. must be obtained to reprint or cite the information contained within this article.